Driving more profitable business outcomes using the power of purchase data and analytics. Affinity Solutions was founded 15 years ago based on innovating solutions that help financial institutions and retailers craft precision marketing programs that drive customer acquisition, share-of-wallet, and loyalty. Our more than 4,000 banks and thousands of retailers play a valuable role with our partners in redefining highly personalized, data-driven marketing. From the beginning, we recognized that with consumer spend data (from credit and debit card holders interested in promotional offers) and analytics, we can help marketers dramatically improve the productivity of their marketing, by delivering the right message to the right consumer, at the right time, via the right channel. Affinity Solutions drives better business outcomes for financial institutions and marketers, leveraging real-time and secure access into where and when consumers are spending across brands, categories, geographies, and buying channels. Jonathan has more than 25 years of executive experience in the marketing technology space, innovating and delivering affinity programs intended to drive consumer engagement, including work at McKinsey & Company for clients like 3M and Honeywell. He received his undergraduate degree from the Wharton School of Business and University of Pennsylvania’s School of Engineering and Applied Science, and briefly attended Harvard Business School (the important thing is that he got in). His entrepreneurial career included the launch of the first for-profit membership organization geared to young families, a consulting firm that provided outsourced marketing services to mid-sized companies, and a product development company focusing the needs of niche consumer segments. Maureen leads all of our go-to-market activities (Business Development, Corporate Marketing, Sales, and Strategic Account Management). Prior to joining Affinity Solutions, Maureen served in senior positions at Turn (which was purchased by Singtel/Amobee), where she most recently led their Business and Corporate Development teams. During her nine years there, she built out their Data Marketplace and ecosystem of both Martech and Adtech partnerships, which drove Turn to become a $400+ million gross revenue company. Nitin brings 20+ years of experience spanning leadership positions in product, marketing and strategy, having led and built profitable software as a service, data cloud and artificial intelligence technology companies. Prior to Affinity Solutions, Nitin served as VP of Product at Quantcast, SVP of Product, Marketing and Operations at JustShareIt, a Silicon Valley company enabling car sharing (acquired by FOX Rent A Car), and Executive Director at AT&T Interactive (acquired by Cerberus Capital). Nitin spent the first 10 years of his career in product, business development and general management positions at successful public companies including eBay and Yahoo. Nitin received his MBA with Distinction from University of Michigan’s Ross School of Business, MS in Mechanical Engineering from Ohio State University, and BE in Mechanical Engineering from Manipal Institute of Technology in India. Rich served as VP of Corporate Development and CMO at NCR Corporation, Chairman, and CEO of Intelleflex, a Silicon Valley-based company delivering RFID-based cold supply chain solutions, and CEO of Pivot3, a converged storage / compute appliance company. He spent the first 26 years of his career at Symbol Technologies, serving in multiple roles in marketing, business development, and division general management, most recently as Vice Chairman and CEO. Atul heads the Engineering, Infrastructure, Data Science, Analytics, Program Management and Quality functions at Affinity Solutions. 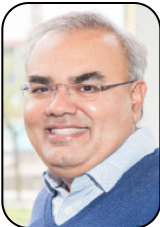 Prior to joining Affinity Solutions, Atul held various senior leadership positions in Big Data and Cloud technology and strategy at IBM Silicon Valley Lab. He has authored 9 patents in data mining and related areas, including one that was rated among top 5% of most valuable patents for IBM. Atul is a data focused entrepreneur having co-founded a behavioral data platform startup, and has over 25 years of experience in the field of software engineering, data engineering, data mining and cloud technologies, with senior roles at Wipro, Good Technology (acquired by Blackberry), PeopleSoft (acquired by Oracle), and IBM. He holds an MS in Computer Science from University of California San Diego, and an MBA from California State University East Bay. 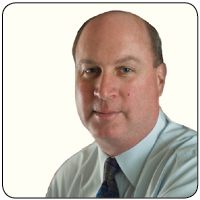 Served as a Managing Partner at Masco Associates and the Chief Financial Officer of several high-growth companies. Non-executive Director of Affinity Solutions since July 2017. An executive for 12 years at Christie’s Fine Art auctioneers, including three years in New York as General Manager of their USA offices. Founder and CEO of California-based Alliance Imaging, Inc from 1983-1988 which joined Nasdaq in 1987 (before going private again in 1988). Founder and CEO of Alliance Medical Ltd., a leading provider of non-invasive diagnostic services to European healthcare providers from 1989-2007, (sold to a private equity firm). Founding shareholder and director of Portman Healthcare Ltd., the largest and fastest growing provider of private dental services in UK from 2010-2018. An active investor in a small number of privately held service companies in UK and USA, taking these from early stage to private equity investment and sale. Involved with multiple charities concerned with young people’s mental well being. Chairman of Cheltenham Racecourse and Trustee of the Thoroughbred Breeders Association. Affinity Solutions is a great place to achieve personal and professional growth. As our business continues to expand, so does our list of available opportunities, across business units in NYC, Florida, and Silicon Valley — and in field-based roles across the US. We are proud of our team and the community they form, and committed to their success and growth. Our executive leadership team has a great breadth of experience to share, and a deep passion aimed at creating a truly great company. We're not done with that. In fact, we'll never be. But we know what it takes, and would love to have you contribute to the cause. If you have talent, creativity, and a deep commitment to excellence, we’d love to hear from you. Are you up for the challenge? Learn more about being part of our winning, diverse, dynamic and growing company by dropping us a note. The Big Data Engineer is a passionate and highly skilled individual, who can design and develop big data infrastructure, that is scalable, highly performant, and able to handle diverse data sets, leveraging latest technologies like Hadoop and Spark, both on premise and in the cloud. Help transform existing data and analytic infrastructure to a highly scalable, flexible, and performant big data platform using appropriate SQL, NoSQL and NewSQL technologies. Design, model, and build a secure consumer and customer behavioral profile database, with privacy controls. Enhance and automate data ingestion, data cleansing and cataloging of data from variety of ecosystem sources, including external web log and social data. Build a secure sandbox capability for speedy machine learning experimentation. Help enhance and modernize platform for precision marketing decision engine based on predictive analytics/machine learning. Design and lead the implementation of consumable, cloud-enabled APIs to exchange data with AdTech/MarTech ecosystem partners. Design and build reporting and visualization infrastructure for traditional Business Intelligence as well as machine learning based outputs. Provide technical input into build/buy/partner decisions for all components of the data infrastructure. Work with a small growing team of data engineers. Collaborate with technical and analytics teams based in New York, and contribute to road map that extends existing systems and processes. Candidates must have Java, C/C++, Bootstrap and HTML experience. Candidates also must have a have a degree in Computer Science or Engineering. Master’s degree a plus. This position is based in our California office, but individual can work remotely from Seattle, Washington. Please send all applications directly to llewis@affinitysolutions.com. © Affinity Solutions, Inc. All Rights Reserved / All logos and marks, as well as all other proprietary materials depicted herein, are the property of Affinity Solutions, Inc.